I have several points in my drawing, all I want to do is select the points with the lowest Z coordinate (MIN) and insert a block in that specific points. Is there any special filter selection using SSGET? 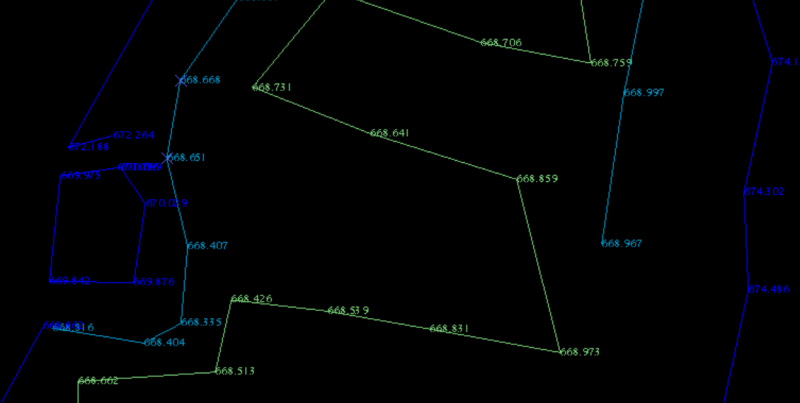 For inserting block in points i found a lots of code. You mean POINT entity with the lowest Z value? Without knowing the elevation value beforehand, it would be impossible to include a Z value using the SSGET filter. You may have to select ALL points then iterate thru the selectiion one by one. or are you wanting Z values less than a given elevation? Now this makes more sense. I try to explain better: you have ,as shown in picture, lots of point in space and also in Z coordinate. 1) Unique point in (x,y,z) ---> save that point in wanted selection. 2) Many point with equal x,y, filter selection and save only the one with the lowest value Z. Maybe comparing the coordinate of the point within two while. There may be points that you cannot compare Z coordinates, for example P1 P4, because they have different x and y. In that case the points P1 P4 are the lowerest in Z position and they must be added at the selection. I think the comparison in Z position must be effected only for points with equal x and y coordinates. we only can filter Z by comparing an assumed minimum value, with rational test =etc..
; operator: = , /= , < , <= , > , >= etc..
Thanx Tharwat: remove logical "<AND"
Won't this be enough ? Learning C sharp language gives power although I am facing lots of obstacles and high jumps on the way but will never give up . Close enough to my purpose!! 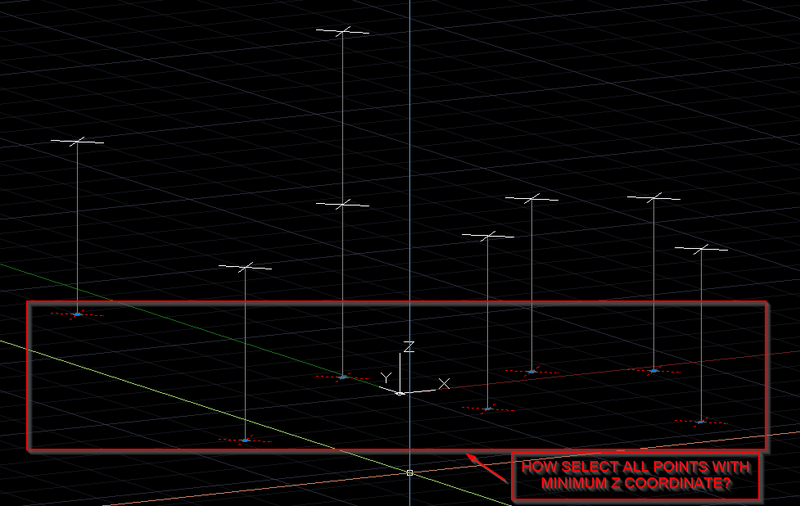 how can i show all Z value in autocad , as i need bellow screen. Try this. You need to set the textsize to the required size before starting. dlanorh dont forget 3dlines as no dwg can not check. Can do a list of all points sort x&y then remove duplicates so text is not twice.